We are manufacturers of made to measure contemporary and traditional blinds and curtains for windows, doors, roofs and more unusual applications such as shaped blinds for curved, arched and sloping windows for kitchens, living rooms, bedrooms and conservatories. Blinds and curtains can also be made in your own fabric such as roman blinds or laminated roller blinds, these can be standard lined or blackout lined. With over twenty five years of experience in providing a first class service you can be assured that we can produce the perfect solution to meet your needs. Curtains can be machine made or hand made, standard lined, interlined, blackout lined or thermal lined. A wide range of curtain headings can be specified such as eyelet heading, Pinch heading or triple pleat heading, pencil pleat heading, Goblet heading and tabbed heading. Blinds and curtains are an important finishing touch for homes. Each room may have different requirements. North facing rooms may need a transparent or sheer fabric to allow a degree of privacy while still see through. Windows facing a busy street may need adjustable blinds such as vertical blinds or venetian blinds. Translucent fabrics such as Swedish plain or Holland fabrics allow light to pass but not see through. South facing or bedroom windows may need an opaque blackout fabric to stop the early morning light or furniture fading. We also make made to measure blinds and curtains for public and commercial buildings such as schools, offices, hospitals and government buildings where other considerations are important such as flame retardant fabric, blackout fabric, or a solution for glare on VDU screens. 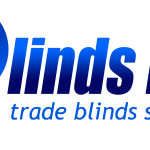 Clarkes Blinds is a member of the BBSA and we have been established for over 25 years making made to measure blinds for the Interior Design Trade. We are the approved blind maker for New House Textiles and we assisted on their stand at Decorex 2007. We also make made to measure blinds from Eclipse, Hunter Douglas and Louvolite. Mummu Cycling is an official Tour operator for the Tour de France and many other cycle touring holidays worldwide. Some of the cycling tours are Tour de France, Giro d’Italia, the Tour Down Under, the Spring Classics, Vuelta a Espana, Roubaix Tours, Flanders Tour and many more tours . The team offers exclusive privileges that provide you with unique cycling tours and VIP bike race experiences that include hospitality, village access and awesome bike riding! The team combines cycling tour and travelling at the same time. Mummu Cycling is an experienced team with expert cycling tour planners, organisers and guides that cater to all types of cycling events worldwide. The team has extensive cycling range tours to the major cycling races, which is tailored to suit a variety of cycling fans. Mummu Cycling is a premium cycling tour operator recognised globally. The Team offers the most prestigious cycling tour and events around the world. Mummu Cycling offers complete cycling tour packages at best prices that allow you to connect with the top and famous cyclists from different parts of the world. Mummu Cycling is the cycling tour operator which has global network support just made for you. If you are looking for the best cycling tour operators, contact Mummu Cycling now! Traditional hand pulled screen printed organic fabrics, cushions and lampshades. My fabrics are printed onto GOTS certified natural unbleached organic cotton and I only use water based eco-friendly inks. My fabrics are 150cm wide and 290 gsm suitable for curtains and blinds. Divine Flow Yoga started in 2015 as home yoga studio. Divine Flow found its true calling when the team expanded to outdoor yoga classes taking full advantage of Sydney’s glorious sunrises and breathtaking beach scenery. In 2016, Divine Flow Yoga grew faster. Divine Flow Yoga provides best deals for beginners yoga classes, and offers free yoga classes for beginners. To continue providing the best inspirational yoga classes to each one of our yogis, we decided to open our very own yoga studio in Brookvale North Sydney, a place each one of you can call home. 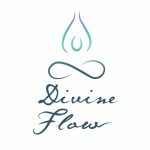 Divine Flow’s vision is to explore the beauty within by indulging in our inner essence and encouraging people to take time for themselves to nourish mind and body. We bring awareness to breath and connect with the elements of nourishment. At Divine Flow, we believe in empowering each other. Contact Divine Flow if you need any of the following. SEWANSOME is based in Plymouth (South Devon) and offers sewing and alteration services for clothing and soft furnishings (including made to measure curtains and roman or roller blinds) for Devon and Cornwall area. I do all curtains, including eyelet or with any other ehading as well as valances, pelmets and tie backs. Roman blinds and curtains can have machined finish or be fully handmade, Roman blinds come with chosen type of headrail or can be made using wooden batten. I can source fabric from the full range of fabric suppliers, provide all linings and interlinings. If you need curtains poles and tracks, I can also help. Cliq Designs – bespoke quality designs in interior furnishings. 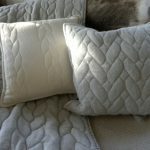 We have 25 years’ experience in bespoke design and manufacture of quilted products; from bed sashes, throws, cushions, and valances through to acoustic panels. We transform flat lifeless cloth into a super tactile 3D quiltscape. A full service which we offer to designers, hotel owners and furniture makers – we make your sketch come to life in a stitch. Our flair is for creating original designs that really impress. We have many years’ experience of working with all kinds of fabrics supplied by our customers as well as ourselves. We love the natural feel of wool – especially when it’s quilted! – So we decided to launch our range of 100% FR wool in both a plain and herringbone weave. It is even washable at 30*. We’ve also included a range of FR linings to choose from, if you want more than the standard ivory backing. From straight lines to curves, geometric to freehand, we have lots of in-house designs to choose from. We like to help, so if you need to tweak the dimensions, we can make it work to fit your requirements. Our pursuit of innovation means that we aim to create a look and feel for your interior space. We are in a unique position whereby we can offer acoustic and artistic panels. These offer the opportunity to decorate your walls with an entirely bespoke focal point. 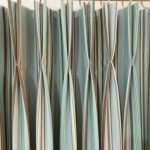 They create texture and a 3D landscape that can also dual feature as a noise cancelling tool. Additionally it gives you the opportunity to be innovative and have something stitched which entirely to your taste. Hills District Podiatry – Sydney sports podiatrists servicing The Hills District and the surrounding areas. 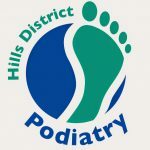 Hills District Podiatry is located in Rouse Hill. Offers local expert podiatry services. Our services include biomechanical assessments and the supply of custom made orthotics, foot and lower limb injury prevention and treatment, paediatric assessments, aged care, ingrowndiabetic foot care, nail surgeries, plantar fasciitis treatment, and more. Hills District Podiatry specialises in all foot and lower limb problems. Made to measure, curtains, roman blinds, cushions, headboards,and pelmets. We are a workroom based in Kilkenny and Dublin. Covering all areas of Kilkenny, Dublin, Carlow, Kildare, Wexford, Wicklow, Tipperary, Laois, and Waterford. We also supply fabric, poles, and roller blinds. 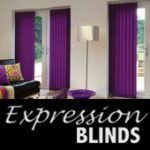 Expression Blinds are a family run, made to measure blinds installation service. Our area of service is the North West, specifically in Warrington, Manchester or Liverpool. An advantage of being an independent trader is that we’re not tied into a supplier agreement like most of the larger companies, which makes them sometimes more expensive. Not having a supplier agreement means that we can get the best quality materials at the best possible prices. 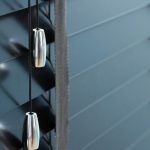 If you think our products would suit your home but don’t live in the North West, then you can still purchase our blinds. Just visit our online store to browse our extensive collection of blinds available to order. 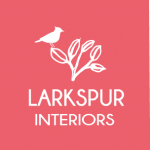 With nearly 30 years experience between them, Linda and Louisa are able to advise you with any size project you may be undertaking, whether it’s the downstairs cloakroom or the whole house. We can advise on window treatments, fabric choices, colour schemes, furniture options and everything that is required to finish the job to perfection. We are the UK’s exclusive reseller of KA INTERNAITONAL, a Spanish brand of furnishing fabrics and furniture – so you will always find a totally exclusive look in our store. We also sell many other leading UK brands and have access to many others. We offer F&B, Little Greene paints, plus Today Interiors, Sandberg, Clarke & Clarke and KA International (Casadeco) and Voyage wallpapers. Follow our Facebook page for the latest news, or subscribe to our (sporadic) newsletter by visiting our website and following the link. We can also be found on Twitter, Pinterest and Instagram. 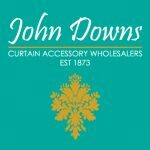 John Downs is a family run business selling a wide range of products to curtain and blind makers. Our customers include the NHS, Local Government, and both local and national curtain and blind makers. We specialise in serving small producers with free samples, a cut to length service and fast delivery. We have a wide range of curtain linings and interlinings, curtain heading tapes, buckrams and pelmet supplies, roman blind tracks and components, eyelets, cushions, soft and hard haberdashery and workroom supplies. Our priority is customer service – we aim to treat our customers as we would like to be treated ourselves. Become one of our customers today! We, at Fenestram Blinds Limited are happy to introduce our Made to Measure Blinds, Curtains & Accessories products at very competitive prices, also providing a blind repair and maintenance service with the promise that we will repair before replace! We cover all Northamptonshire and surrounding areas. Hallmark Garage Doors Brisbane provides top of the line residential and commercial garage doors, residential and commercial roller doors, roller shutters, motors and remotes in Brisbane Qld and the surrounding suburbs for more than 35 years. Hallmark Garage Doors offers garage Doors, roller doors & roller shutters in Brisbane, Southside, Belmont, Chandler, Mackenzie, Capalaba, Wakerley, Tingalpa, Holland Park, and more. Makings of Fine Kitchens & Bathrooms in Brisbane specialises in kitchen and bathroom renovations, bespoke kitchen, interior joinery, and a lot more. The company is proud of their reputation for the top of the line quality craftsmanship and innovative designs and work. All of the designs at Makings of Fine Kitchens & Bathrooms are personalised to each client, bringing efficiency and elegance to the most important spaces in your home. From 2001, Makings of Fine Kitchens & Bathrooms has helped clients achieve their dream kitchen, bathroom and interior installations and renovations a reality with unique, multi-disciplinary approach to concept design, project management, manufacturing, and installation. Makings of Fine Kitchens & Bathrooms is QBCC Licensed Builders, professional members of the Kitchens & Bathrooms Design Institute (KBDI), HIA members and qualified agents for Vitroglaze, you can be assured that you are working with qualified industry professionals. If you need help on Brisbane kitchens, inquire now! Some of the many suburbs we did kitchen and bathroom renovations: St Lucia, Auchenflower, Bulimba, Brookfield, Ascot, Coorparoo, Yeronga, Chelmer, and more. We manufacture blinds from our family run factory near Norwich to the highest possible standards, we have been supplying trade since 2001. See our website now for more details. We manufacturer blinds on site in our factory based near in Norfolk, we have been supplying the trade since 2001. We are a family run business so you will be looked after. We think it is important that you and your customers receive the best service. We have a trade book that can be sent over or feel free to arrange a time to come and visit our factory. we supply all the leaading fabric names, Harlequin, Sanderson, Ian Mankin etc. Please feel free to call in and browse. Soft furnishings play an important role in every room design. Kent Curtains can help you to achieve a unique look with designs and styles created just for you. Our small family run business focuses on attention to detail and outstanding results every time. We are makers of hand-crafted curtains, blinds and soft furnishing accessories. We have a workroom and showroom onsite, with masses of fabrics, poles, tracks and trimmings to choose from. And, if we don’t have what you want onsite we can usually get it from our suppliers. Please pop in, we’re happy to talk through your project and offer advice and suggestions. Alternately have a look at our website, which is very comprehensive, and then give us a call to arrange a home visit. 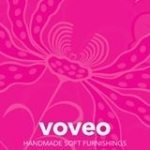 Nicola Buckley of Voveo has been in the soft furnishings business for over 15 years. 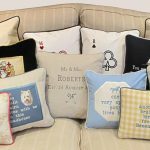 With a wealth of experience and a professional City & Guilds qualification behind her she takes pleasure in providing soft furnishings for your home. She likes to offer a flexible and personal service with an emphasis on the importance of a good client relationship. 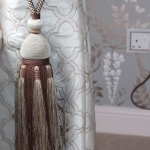 She prides herself on the supply of quality handmade soft furnishings including curtains, blinds and accessories which are created individually to your specific requirements. 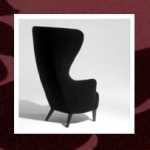 We are a Bespoke soft furnishing company, Est.2006.but have over 20 years of experience. We offer traditional styles to contempory designs, and we work with designers and private clients. We can undertake show houses, new builds and on a smaller scale, room refurbishments. As a service, we can visit site and do full scale measures, which is followed up with an estimate. We also work from supplied work sheets to a finished product, and will offer a full fitting service if required. Along side the making of the soft furnishings , we are able to supply the hardware that goes with it. Eg. Poles, Tracks, Venetians, Rollers. We specialise in creating beautiful made to measure soft furnishings for your home, office or business. We have 100s of pattern books for fabrics and wallpapers, catering to all tastes and budgets. We can advise on and supply all types of tracks and poles and have experienced fitters, at your request. Whether you need help with a single window or a cushion or you would like help refurbishing a far larger project, we are the people to help. Our team consists of experienced craftspeople all creating beautiful work. CurtainCalc™ saves designers and curtain makers time and money when estimating or quoting for curtaining windows and doors. Designed by interior designers for interior designers, curtain makers and even individuals budgeting for a large make-over, CurtainCalc™ accepts basic input like fabric width, pattern repeat, fullness and price per meter, combines it with preset info such as your standard lining prices and curtain makers’ rates, then works out costs, quantities and labour in an instant. Upholstery & recovering service. Made to measure Curtains, Roman Blinds. Soft Furnishings & Fabrics. In home consultation. A small friendly business making quality, custom made soft furnishings and upholstery products. 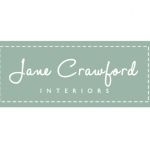 Jane Crawford Interiors. Bespoke, hand made soft furnishings to Godalming and the surrounding areas. Handmade, bespoke curtains and blinds. We all enjoy having our home and ideas admired. We work with you to achieve the most individual, yet tailored look for your home. We offer a range of fabrics and finishes, and come to you at a time which suits you, so that we can provide a quote for the option you choose. Our curtains and blinds are handmade at home, and we have contact with fitters to ensure that the end product is perfect. Hi, I’m Karen and my business is called Renaissance Interiors. My aim is to help each and every client find the beauty and style in their home, office or business. 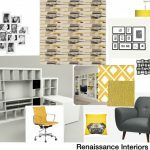 I offer interior design and soft furnishings assistance to suit all budgets and tastes. My team consists of a wide skill set and years of experience so that I can pair each craftsman (or woman) to the relevant project. Your precious home is in safe hands. Call me with any questions, and your initial consultation is on me. I look forward to talking to you soon. 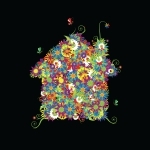 Dogg House Designs is a small independent business based in Hook, Hamphire, UK. 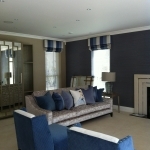 We design and professionally make bespoke curtains, blinds and soft furnishings to suit our clients’ requirements. 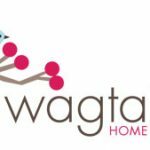 Wagtail Home Furnishings specializes in the design and making of bespoke handmade curtains, blinds and other soft furnishings, based in Godalming, covering Surrey, Sussex and Hampshire. Alive Events Agency, founded by Antony Hampel, is an event management company based in Australia that creates extraordinary events in Sydney, Melbourne, and Australia wide. Alive Event Agency can speak to audiences of thousands or an intimate few. No matter what scale, Alive produces unique and authentic live brand communications for consumers and trade, with outstanding results. Alive Events Agency produces extraordinary product launches, brand activation, experiential marketing, event launches, event activation, road shows, exhibitions, award shows, public events, concerts, fashion events, media stunts, red carpet events, creative conferencing, event management, and many more. . Alive Events Agency services include creative styling and design, security and risk, multimedia production, OH&S, logistics, venue procurement, travel and transport, content and scripting, project management, A/V production and design, crew and staffing, talent and entertainment, food and beverage, webcasts/video conference, and many more. Antony Hampel or Ant Hampel is a highly regarded event producer with more than 25 years professional experience in event management and entertainment. Alive is an activation agency that you can trust. If you need activation agency, contact Alive, an event activation agency you can trust. 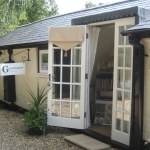 Bespoke,traditionally made curtains, blinds and other soft furnishings. 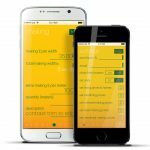 Activ Therapy specialises in physiotherapy, chiropractic & massage therapy in Sydney and the surrounding suburbs. Expert physiotherapists, chiropractors & massage therapist in Sydney with years of professional experience. Activ Therapy chiropractors, physiotherapists, chiropractors & massage therapists service the suburbs Sans Souci, Moorebank, Liverpool, Casula, Clemton park, Bardwell Park, Kingsgrove, Earlwood, Roselands, and more. Contact Activ Therapy if you need any of the following. 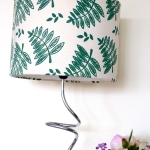 We make lovely lampshades – from contemporary drums to traditional hand sewn shades, we provide a bespoke service to the trade and directly to clients. 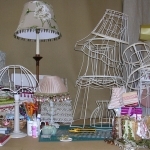 We also source and sell vintage original lampshades, and standard lamps which are restored by us. We also make cushions and roman blinds and work with many talented interiors experts. Please see our website for our current stock, or contact us for an item made just for you. 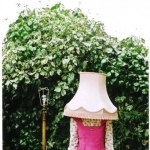 Traditionally tailored lampshades: making, re-covering, re-styling.